Aurora Ohio Homes for Sale – Aurora Ohio is well known for being a quaint community with highly ranked education systems. Located in Portage County, Aurora Ohio neighbors Twinsburg and Reminderville Ohio. I-480 runs through the city along with easy access to Routes 82 and 43. There are a lot of popular attractions for residents and visitors to explore. Aurora Farms offers many well-known outlet stores. You can easily stroll through all your favorite shops and enjoy lunch with friends. ThornCreek Winery is an excellent attraction where many host their wedding parties. This romantic, special atmosphere is an ideal place for a relaxing night out. Aurora is a great place to call home if you’re looking for a small-town feel with an easy commute to downtown Cleveland! 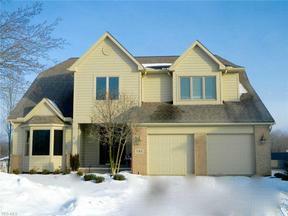 Search below for Aurora Ohio Homes for sale. Contact our sales team for more information on Aurora Ohio Homes for sale.